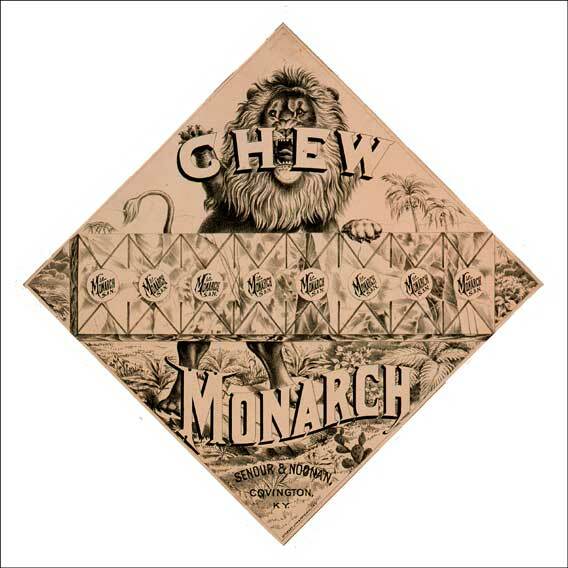 [Tobacco advertisement] Chew / Monarch / Senour & Noonan / Covington, / Ky.
Lithographs: Black & White and Colored. N.d. Each: 14&3/16 x 14&3/16 in (36 x 36 cm). Cincinnati: Attlesey Lith. & Prtg. Wks. Langstroth Collection. Art and Music Department.